18/01/2008�� That's one heck of a prime rib! I cook prime with the following rules of thumb; Preheat oven to 400 F (gas mark 6). 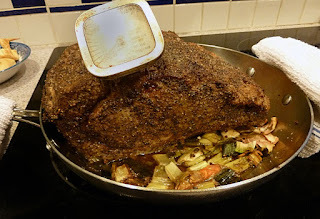 Aromatics in the bottom of the roasting pan; onions, shallots, carrots, parsnips (what you like), sprigs of thyme, etc.... I�ve seen nice ungraded rib roasts for $3.99 per pound in Safeway or Stater Brothers; at the time I wrote this article, expect to pay $7 to $12 per pound for Choice and $9 to $20 per pound for Prime; for top-grade Wagyu, don�t be surprised to see $50-$80 per pound. 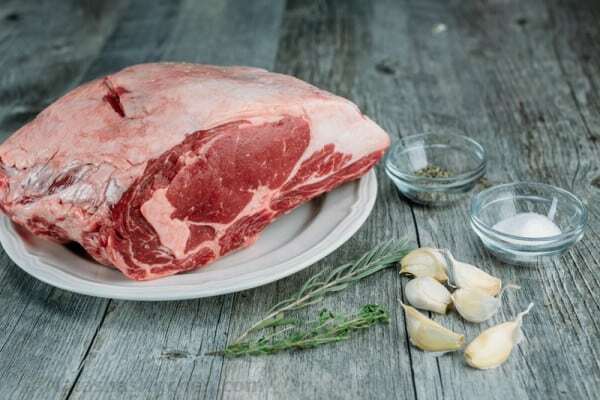 I�ve seen nice ungraded rib roasts for $3.99 per pound in Safeway or Stater Brothers; at the time I wrote this article, expect to pay $7 to $12 per pound for Choice and $9 to $20 per pound for Prime; for top-grade Wagyu, don�t be surprised to see $50-$80 per pound. 18/01/2008�� That's one heck of a prime rib! I cook prime with the following rules of thumb; Preheat oven to 400 F (gas mark 6). Aromatics in the bottom of the roasting pan; onions, shallots, carrots, parsnips (what you like), sprigs of thyme, etc.